807 & 809 W Wood St. Bloomington, IL - FOR SALE by Couillard & Co.
807 & 809 W Wood St. Bloomington, IL 61701 – NOW PENDING! Calling all investors or someone looking to have their mortgage paid FOR THEM! 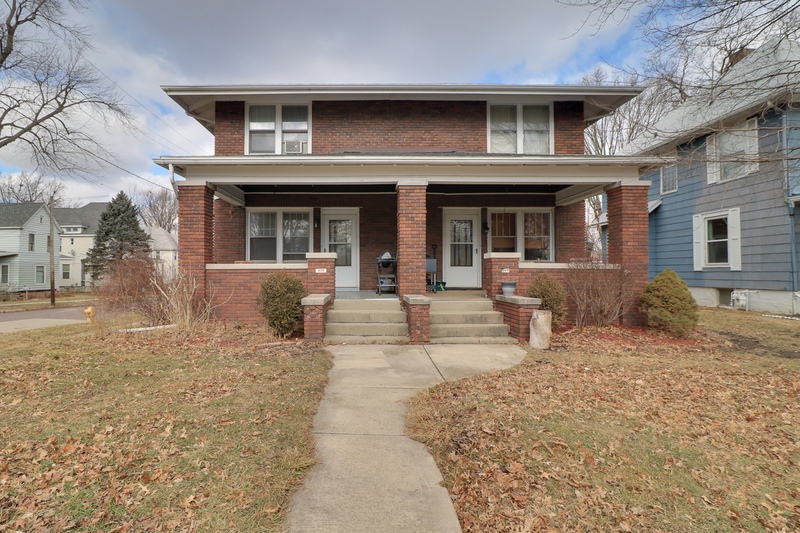 This duplex at 807 & 809 W Wood St. Bloomington, IL 61701 is a great opportunity for you! It is located right across the street from Miller Park, there is tons of on street parking PLUS a two car garage with driveway space. Each unit mirrors the other offering 2 bedrooms, formal living and dining room, and cute covered front porch space. Live in one unit and rent out the other and cover your mortgage! Or rent out both units and make a profit! The Roof is 5 years old, Furnace is under 10 years old in both units, and W/D + all other appliances stay. Both units have access to private basements – basement has wall down the middle to separate.